This is a shot of the iconic Prince of Wales Hotel. Views from the hotel lobby and lawn are magnificent panoramas of Waterton Lake and the surrounding mountains in Waterton Lakes National Park in Alberta, Canada. 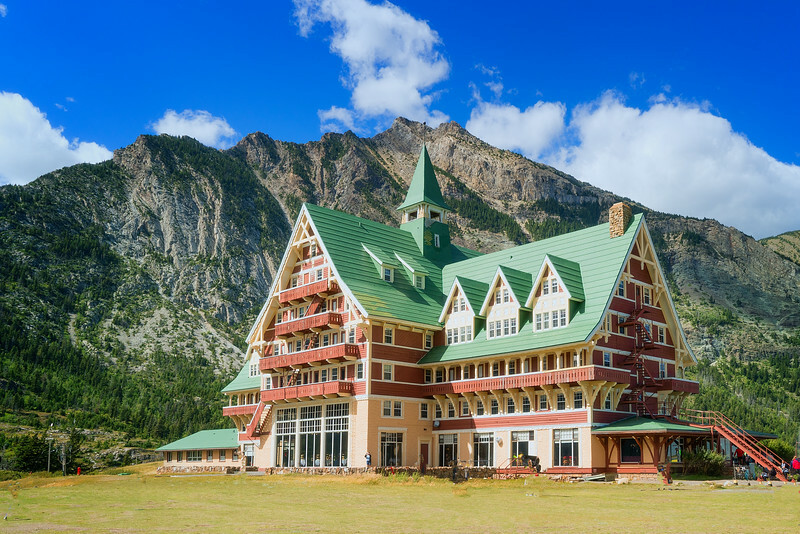 Located just north of Glacier National Park, Waterton makes up the other half of the Waterton-Glacier International Peace Park and is a must-visit location.